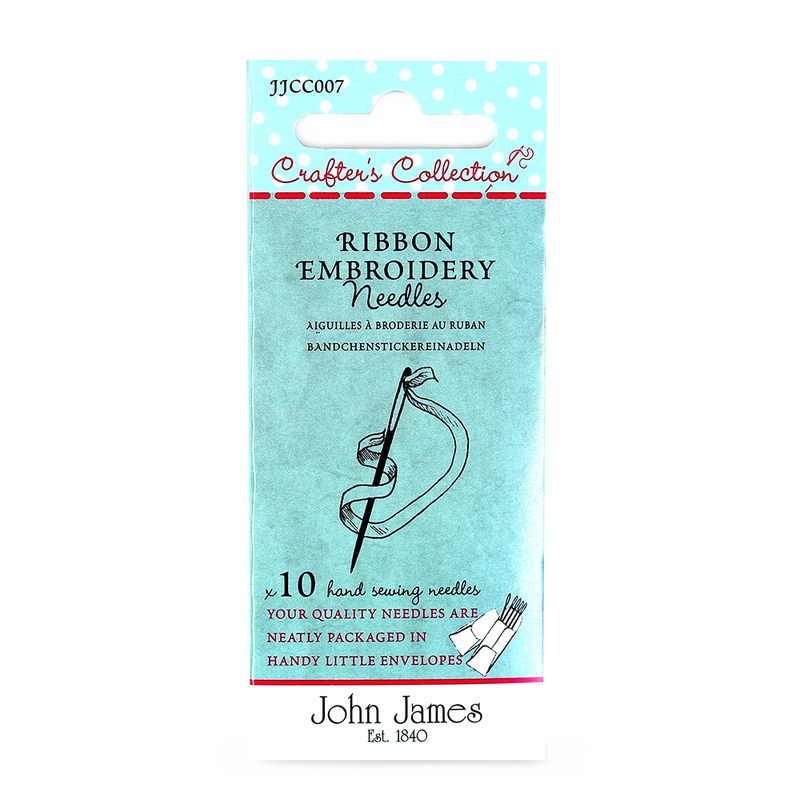 A classic combination covering all needle sizes required to create an exquisite piece of ribbon embroidery needlework. Chenille needles have a large eye to accommodate ribbon and a sharp point to pierce the fabric whilst creating embroidery stitches. We recommend a size 18 to be used with 13mm ribbon, a size 24 to be used with 7mm ribbon and a size 26 to be used for 2mm, 3mm and 4mm ribbon.